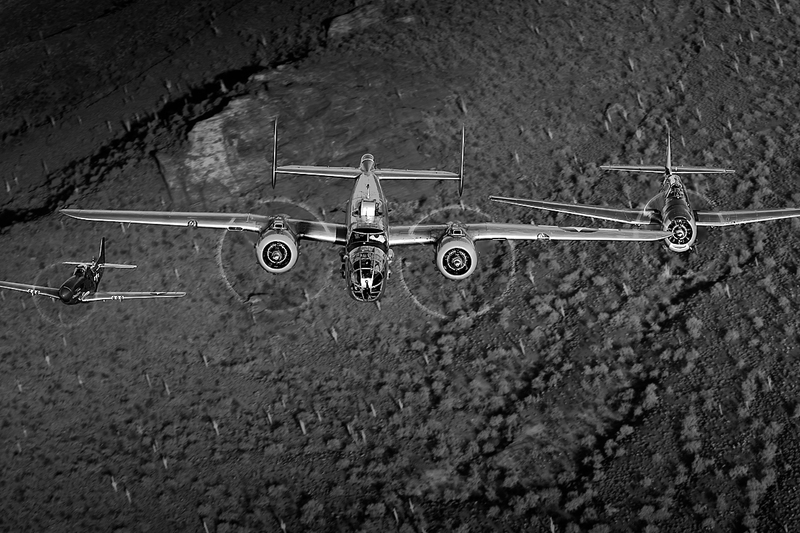 B-25 Mitchell, TBM-3 Avenger, P-51 Mustang: TBM Avenger: From the Air: Specialist in Warbird Images, especially air-to-air, Richard King 's gorgeous photographs of military aircraft. Available for licensed use, commecial use and as Fine Art Prints. Image no: 12-003869.bw NOT FOR SALE - CAF Arizona Wing have copyright to B-25 "Maid in the Shade"